On Wine of the Week, WTOP wine expert Scott Greenberg highlights some award-winning wines from the San Francisco International Wine Competition. Some wine people have all the luck. For three days last November, I was one lucky guy. I had the privilege of swirling, swishing, sniffing, tasting — and most importantly — spitting, over 400 wines during the three days of judging the 38th annual San Francisco International Wine Competition, considered by many in the industry to be the largest, most influential international wine competition in the United States. The competition is the creation of legendary wine taster and magazine publisher Anthony Dias Blue, whose Tasting Panel Magazine and The Sommelier Journal reach over 40,000 readers in the restaurant, hospitality and wine trade. The contest is evaluated by multiple panels of judges and is done on a blind, consensual procedure, meaning that the three-judge panel tasting a particular set of wines has to come to a consensus on each wine tasted. For a wine to be awarded a Double Gold, it had to receive a Gold score from all three judges. This year, winemakers from around the world and 20 U.S. states submitted over 4,500 wines from 1,200 wineries. The entries were judged in several different categories, including best white wine, best red wine, best sparkling wine, best white dessert wine and best red dessert wine. A total of 280 Double Gold medals were awarded this year, with many of the top wines available for less than $35. These medal recipients represent some of the best values available in their class. Here are a few of my favorite winners from the competition. This year, the Best in Show Red Wine was the 2015 V. Sattui Winery Syrah from Napa Valley, California. This is a stunningly rich wine with flavors of ripe blackberry, black cherry, dark raspberry and Asian spices. Melted licorice meld with soft tannins and a touch of vanilla to provide a luscious, smooth finish. Worth the hunt and the price. $41. The Best in Show Sparkling Wine this year belongs to the Non-vintage Gloria Ferrer Caves & Vineyards Blanc de Noir from Carneros, California. Blanc de Noir literally means “White from Black.” This wine is made predominantly from hand-harvested Pinot Noir grapes and sports a nose that is intense and nutty, with scents of red berries, citrus, and roasted nuts. The palate is full of subtle raspberry and strawberry fruit flavors, followed by a lively freshness where creamy notes of lemon custard and vanilla bean are carried through on the finish by round, fine bubbles. $18. Here’s one that blew my mind. The winner of the double gold and best Viognier was the 2017 Blue Ostrich Winery & Vineyard Viognier from Texas. Scents of honeysuckle, acacia and orange blossom dominate the bouquet and buttery flavors of citrus fruits, green apple and apricot explode on the creamy, rich textured palate. Nice touch of mineral notes on the finish provides depth and balance. $22. One of my favorite double gold medal winners in the competition is the 2016 Eberle Winery Cabernet Sauvignon Vineyard Selection from Paso Robles, California. It features lovely aromas of blackberry, cassis and ripe black olive that intermingle on the fragrant bouquet. Rich, ripe flavors of cassis, blackberry and earthy tones fall over the tongue and onto the lengthy finish where secondary flavors of toasty oak and mocha adds an additional layer of depth. $24. 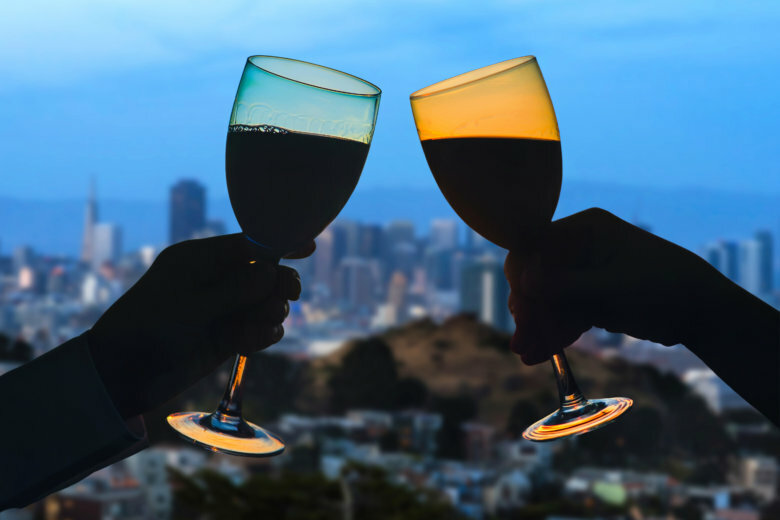 For a complete list of the medal count, visit the San Francisco International Wine Competition.